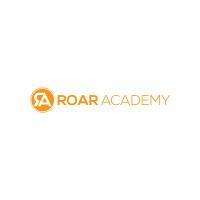 Roar Academy trains, inspires and educates anyone who is passionate about singing. Whatever your ability, whatever your age, whatever your background, Roar will enable you to sing, perform and learn in a supportive and fun environment. Roar Academy is a contemporary choir academy that operates all over the UK bringing people together who share a love for singing. Our classes have a spirit, drive and energy like no other. Uniquely, we bridge the gap between amateur choirs and high end professional training. Our London choir meets every Sunday at 3.30pm in Euston.